Recently retired as a Colonel in the United States Air Force, Dr. Dennis Van Maren has practiced dentistry for over 25 years. During his military service, he served as the Commander of three dental clinics and one hospital, providing general and advanced dentistry services to patients of all ages while mentoring and supervising over 40 junior dentists. Dr. Van Maren completed his undergraduate studies at the University of Kansas and received his Doctorate of Dental Surgery from the University of Missouri-Kansas City. 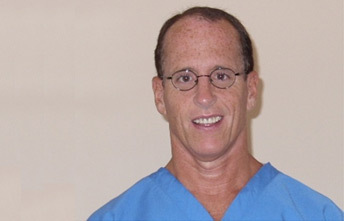 He completed the Advanced Education in General Dentistry Residency and received advanced training in Oral Surgery, Oral and Intravenous Sedation, Dentures, Implants and Wisdom Teeth Removal, during his many years in the service, Dr. Van Maren has completed over 2000 hours of Continuing Education. He is also a veteran member of the American Dental Association, the Texas Dental Association, and the Nueces County Dental Society. Dr. Van Maren enjoys living in Corpus Christi and look forward to helping you achieve a natural and healthy smile!